Interested in a one-on-one class or a class for you and your significant other? Want to host a class in your home or business for a handful of your friends, family, and/or co-workers? Hosted classes are held at your location with between 1 and 20 students at a time we will agree upon based on availability and schedules of all involved. Head over to the Contact page and send us email with any questions. How about a FREE class for you? Host a class with at least 5 of your friends/family and get one seat free! Following the class presentation and any discussion/Q&A, a written exam of 25 questions will be given. If range qualifications are included in your class, directions to the range will be given during class. Since the range is outdoors, please be sure to dress according to the weather. Additionally, remember to dress for proper range safety. Clothing should not have large openings, low neck lines, etc. Shoes should be comfortable and stable with closed toes (no high heels). During the range qualification portion of class, a total of 50 rounds will be fired and a score of at least 70% (175 out of a possible 250) must be achieved. It is NOT the responsibility of Four19 Defense, LLC or the instructor to determine if a student is eligible to obtain a Texas License To Carry A Handgun. While the following lists just some of the eligibility requirements, please visit the FAQs in the Handgun Licensing Section of the Texas DPS website for more informaiton. INELIGIBILITY - If, after paying for the Four19 Defense Texas LTC Class, a student discovers they are legally ineligible to obtain a Texas License To Carry A Handgun, no refund will be issued. As stated in the "Eligibility" section, it is NOT the responsibility of Four19 Defense, LLC or the instructor to determine if a student is eligible to obtain a Texas License To Carry A Handgun. Please refer to the Handgun Licensing Section of the Texas DPS website for requirements. STUDENT NO-SHOW - No refunds will be issued to a student that does not show up for class. STUDENT CANCELLATION - In order to allow time for Four19 Defense, LLC to fill the empty spot, cancellations may be made one week or more in advance of the student's scheduled class and a refund will be issued minus a $5 cancellation fee. If a student cancels within the one week before their scheduled class, a 50% refund will be issued. FOUR19 DEFENSE CANCELLATION - In the rare case that a class needs to be canceled by Four19 Defense, LLC or the instructor, a full refund will be provided to each student that has paid for the canceled class. 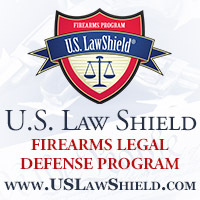 Four19 Defense, LLC's Texas LTC classes require pre-registration and Four19 Defense, LLC reserves the right to cancel and/or reschedule any class based the number of pre-registered students. Attempts will be made to reschedule but in the case of a class cancellation, please see "FOUR19 DEFENSE CANCELLATION" in the "Refunds" section above.